The Nokia Lumia 1020 was officially introduced a few days ago, and already there appears to be a massive amount of interest in this upcoming Windows Phone 8 smartphone. 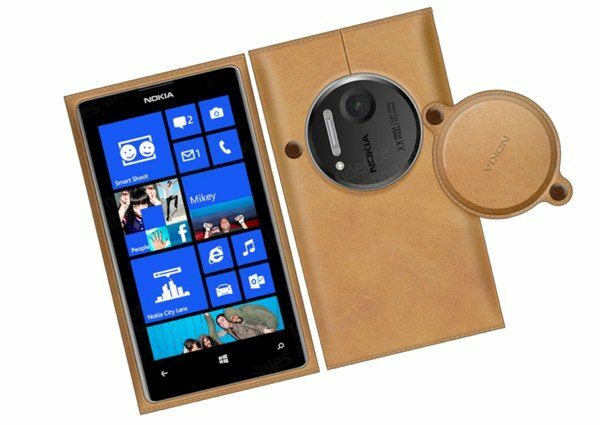 The latest Lumia device (previously referred to as the Nokia EOS) has a whopping 41-megapixel camera, and if you’ve already decided you will purchase it on release then you may be interested in a Nokia Lumia 1020 quality leather case that has been spotted. The Lumia 1020 is set to release later this month, and as a quick recap we can tell you that it has a 1.5GHz dual-core processor, 4.5inch display with 1280 x 768 resolution, 2GB of RAM, and 32GB of internal memory that is non-expandable. It also carries a 41-megapixel rear camera with bonuses such as Xenon and LED flash and PureView technology, as well as a 1.2-megapixel front-facing camera. On top of all this there’s a 2000 mAh battery and LTE support. Of course if you’re going to spend a decent amount of money on a premium handset then you’re very likely to want to keep it looking as good as the day you got your hands on it. Many of us choose to protect our cases with a cover, and what looks to be a premium leather case has turned up. It certainly looks to be top quality and well made, although of course we haven’t got our hands on it just yet to check it out. You can clearly see from the image below that is also features a protective cover for the lens housing, a very nice touch. Unfortunately there are no details yet on price or availability of this attractive cover, but we imagine it will release at the same time as the Nokia Lumia 1020 or very shortly afterwards. You may also be interested in a previous article where we showed a case and charging accessory for the Lumia 1020. Have you already decided that the Nokia Lumia 1020 will be your next smartphone? If so, do you like the look of this quality leather case for the device? Let us know with your comments.